Berkshires | relishments HAS MOVED! 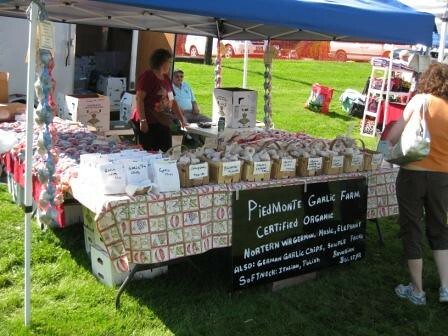 On Saturday, Brian and I headed just west of downtown Bennington to attend the 14th Annual Southern Vermont Garlic and Herb Festival. Dorky as it may sound, I’d been looking forward to it for months. 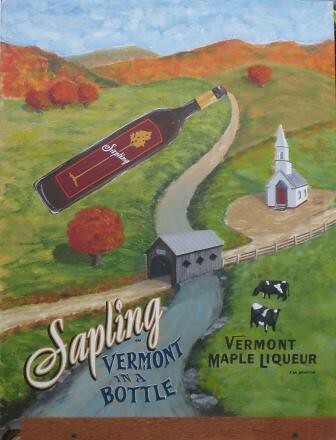 We had a great time and I definitely learned a lot of things I didn’t know before spending the day sampling delicious Vermont treats (garlic, maple syrup, salsas, dips, breads, sandwiches…it was pretty amazing). 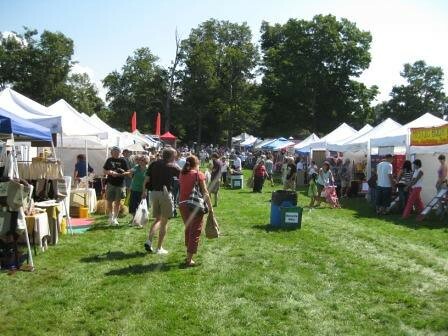 We drove to Vermont on the morning of the first day of the festival and it was pretty crowded. 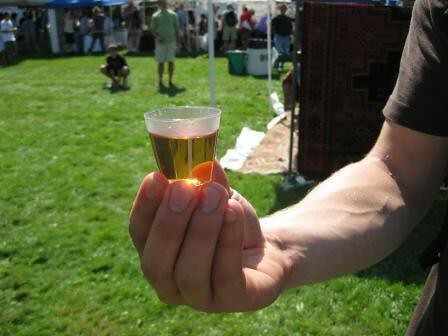 Of course, the fact that the majority of the vendors were distributing free samples didn’t help cut down on the crowds. According to the event’s website, over 6000 people attending the 2008 festival. That’s a lot of people for a two day event. I know I’m not the only person who didn’t already know this because I was eavesdropping on other people, but it never occured to me before that there are all different types of garlic. It seems odd to me that supermarkets only seem to carry one kind (and sometimes elephant garlic) if all these local farms are growing so many varieties. 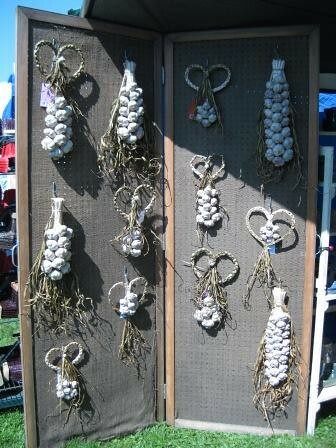 Brian and I opted not to purchase any garlic artwork to decorate our apartment, though I’m sure it would’ve smelled nice. I just wanted you to be aware that the option is out there. I expected that the Garlic Festival would have some bizarre garlic flavored foods and this is definitely my top pick. Of course, I had to try it. The sample was pretty microscopic, but it tasted fine to me. I suppose it helps that cherry can be a pretty strong flavor. I may have just decided where all my money is going to go. I also just had an amazing whole wheat bagel with delicious sundried tomato cream cheese. If my Man notices in a few weeks that we’re out of money, brewhaha, in downtown North Adams, may be to blame. It’s adorable. It’s delicious. And they have vegetarian/vegan offerings! They offer loose, organic teas! Not to mention coffee and baked goods. If you’re in the area and looking for breakfast or lunch, I highly recommend it. Finally leaving the house today was so worth it.